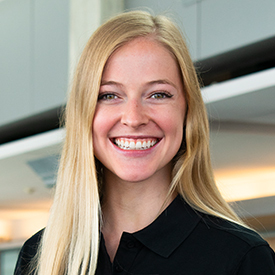 Rachel Gibson is the graduate assistant for Undergraduate Student Government and is pursuing her doctorate of physical therapy. She serves as an advisor for the student senate, associated senate officers, and committees. Gibson also assists USG with recruitment, evaluation, training, development, and transition.